Turner International is for the first time providing advertisers with a single way to activate a full suite of global, regional and local campaigns that connect with fans across Turner’s digital properties spanning over 200 countries. The launch of Turner International Digital Advertising Sales – T1 – consolidates Turner’s international digital advertising capabilities into a single division, complementing existing local digital and linear advertising sales and CNN International Commercial (CNNIC) operations across Latin America, EMEA and APAC. 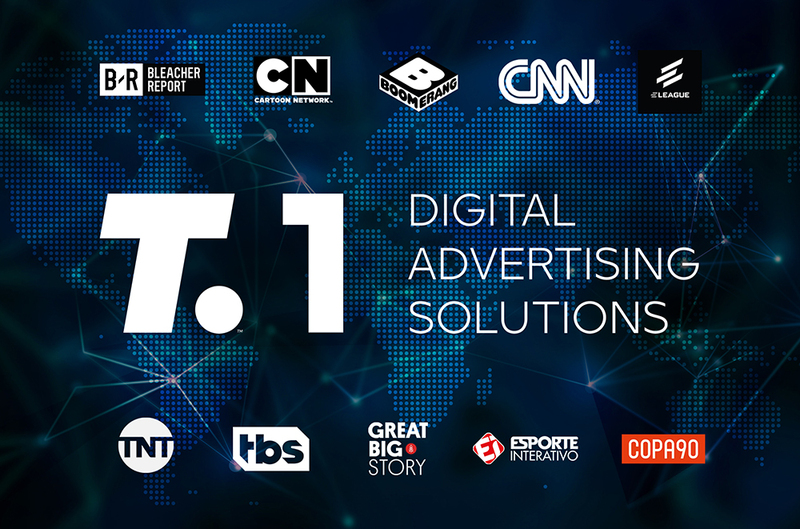 T1’s focus is on connecting global advertisers based outside the US with audiences across Turner’s entertainment, kids, news and sports digital portfolio including Bleacher Report, Cartoon Network, Boomerang, CNN, ELEAGUE, TNT, TBS, Great Big Story, Esporte Interativo as well as COPA90, which Turner has a stake in. T1 offers brands a rich suite of creative and data-driven advertising solutions – from forging far-reaching strategic partnerships to creating bespoke campaigns that include branded content, native and product placement, as well as pre-roll and display inventory across the Turner International digital portfolio. The unit is designed to work with major brands on a wide range of campaigns that can scale multiple regions, be highly targeted to specific countries, or utilise particular Turner properties to reach defined audience demographics and clusters in brand-safe premium mobile, desktop and social environments. T1 is borne out of the successful digital strategy devised by CNNIC – the arm of Turner International that monetises all CNN properties outside of the US – to combine data and content solutions to grow partnerships between CNN and international advertisers. Using this blueprint, T1 is created and led by Rani Raad, President of CNNIC. The unit comprises a specialist team of sales, consultancy and operations experts working closely with Turner International’s leadership, technology, advertising, product and editorial teams to increase monetisation opportunities around digital properties. Overseeing T1 operations is Rob Bradley, Vice President of Digital Commercial Strategy and Digital Advertising Sales for both CNNIC and T1. Underpinning T1 is a unified advertising technology platform to enable creative campaigns that reach highly defined premium audiences at huge scale. The division also draws on existing Turner solutions such as Launchpad, the social media amplification tool which leverages data across the company’s 750M global social followers to deliver branded content to like-minded groups on social media. Turner International operates versions of core Turner brands, including CNN, TNT, Cartoon Network, Boomerang and TCM Turner Classic Movies, as well as country- and region-specific networks and businesses in Latin America, Europe, the Middle East, Africa and Asia Pacific. It manages the business of Pay- and Free-TV-channels, as well as Internet-based services, and oversees commercial partnerships with various third-party media ventures; it teams with Warner Bros. and HBO to leverage Time Warner’s global reach. Turner operates more than 180 channels showcasing 46 brands in 34 languages in over 200 countries. Turner International is a Time Warner company.